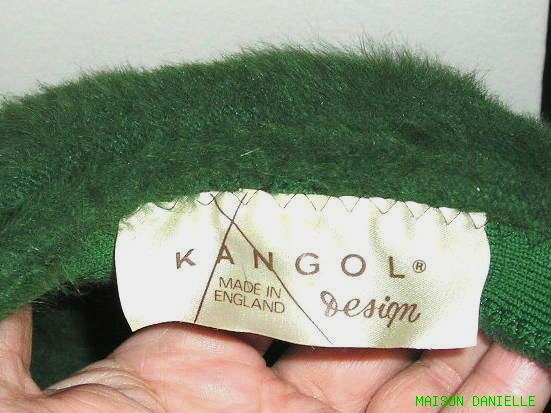 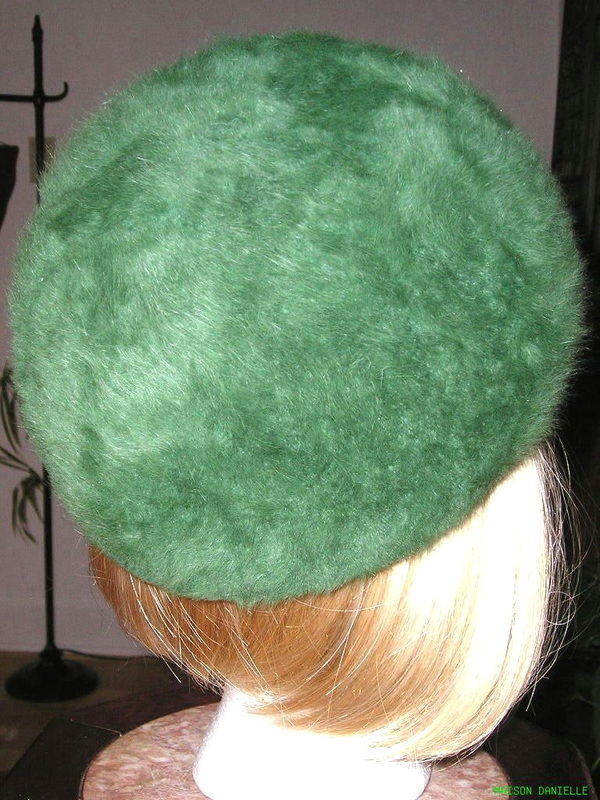 AN absolutely adorable late 50's rounded ballcap hat with side bow made in England by the reputable KANGOL from "furry" genuine Angora Rex fur and SILK knit, tightly woven, with the texture and feel of genuine fur. Unique hat constructed in a beautiful and feminine "Jackie O" style and a superb bright Kelly or emerald green colour. 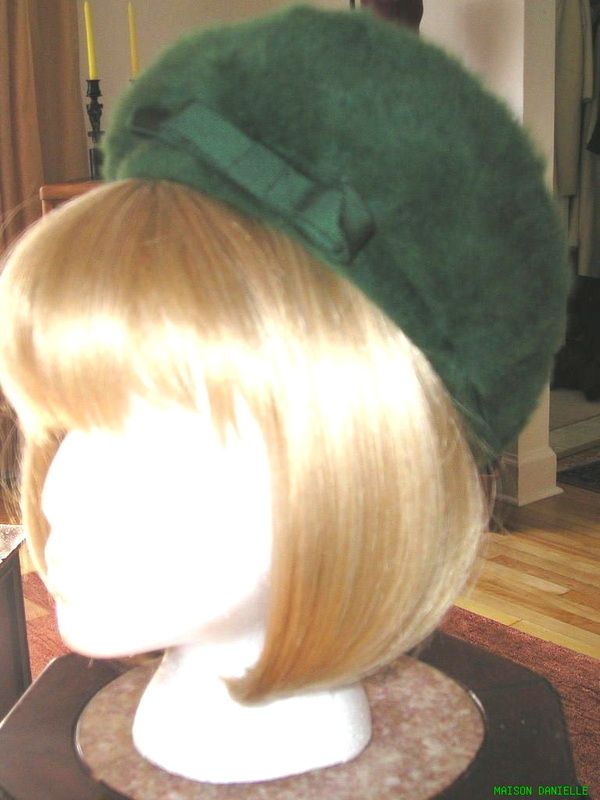 Add to it an immaculate, never worn condition and you have a lovely hat made in "hat Heaven" so to speak and worthy of a fashion museum.The hat dates from and is created in the Jackie "O" style of the late 50's and early 60's, with a tight head band backed by tone on tone millinery ribbon and has a flirty bow on the side. 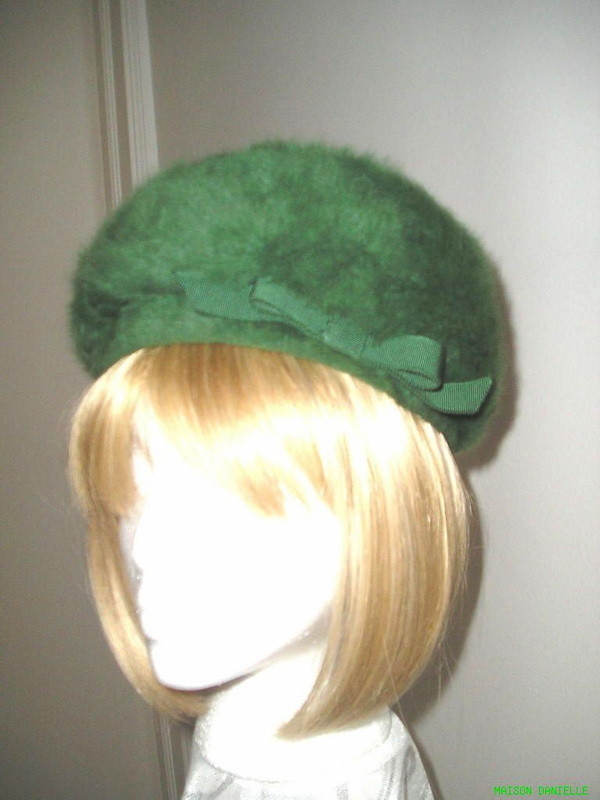 Measures 21" around, measured on the inside band. Price includes in box shipping anywhere within North America.